This book primarily focuses on the design of analog and digital communication systems; and has been structured to cater to the second year engineering undergraduate students of Computer Science, Information Technology, Electrical Engineering and Electronics and Communication departments. For better understanding, the basics of analog communication systems are outlined before the digital communication systems section. 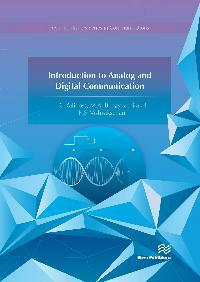 The content of this book is also suitable for the students with little knowledge in communication systems. The book is divided into five modules for efficient presentation, and it provides numerous examples and illustrations for the detailed understanding of the subject, in a thorough manner. Advanced communication techniques topics includes-Cellular communication, Satellite communication and multiple access schemes.